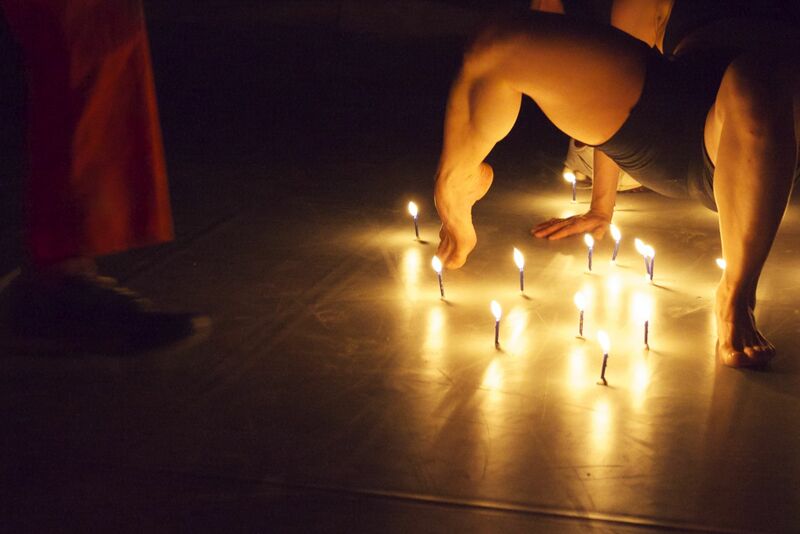 Directed by Choreographer/dancer Sara Gebran. Performance created in collaboration with the artists: The dancers/choreographers Ylva Henrikson (Se), Eliisa Erävalo (Fi/Se), animator/dancer Olle Söderström (Se) and musician/composer Martin Vognsen (Dk). Consultant dramaturgy: Anders Paulin (Se). Assistant: Elin Samuelsson. Vertical Exile Stockholm/Botkyrka is produced by Public Eye/Sara Gebran in collaboration with Dansens Hus Theatre, Botkyrka Kommun, Moderna Dansteatern, Mångkulturellt Centrum Fittja, SITE studio. and with the economical Support of: Kulturrådet, Nordic Kultur Point, Innovativekultur, Stockholms Kulturförvaltning & Botkyrka Kommun. 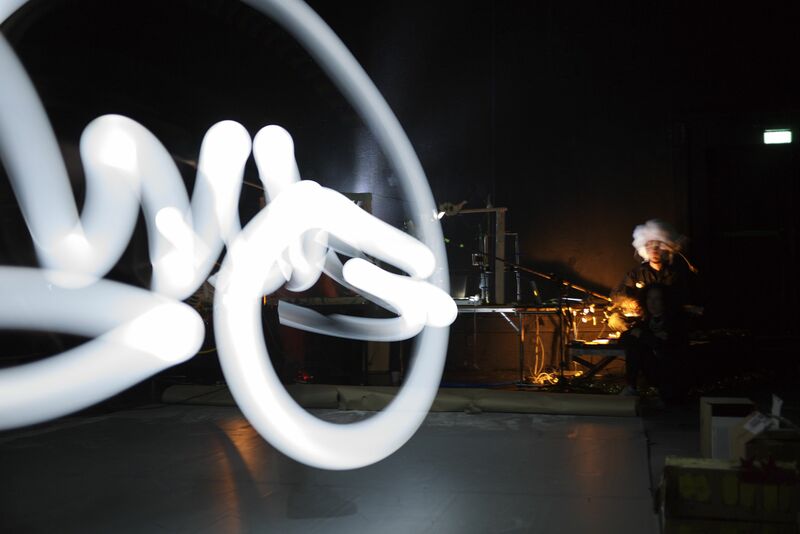 A workshop on Choreography & Animation. 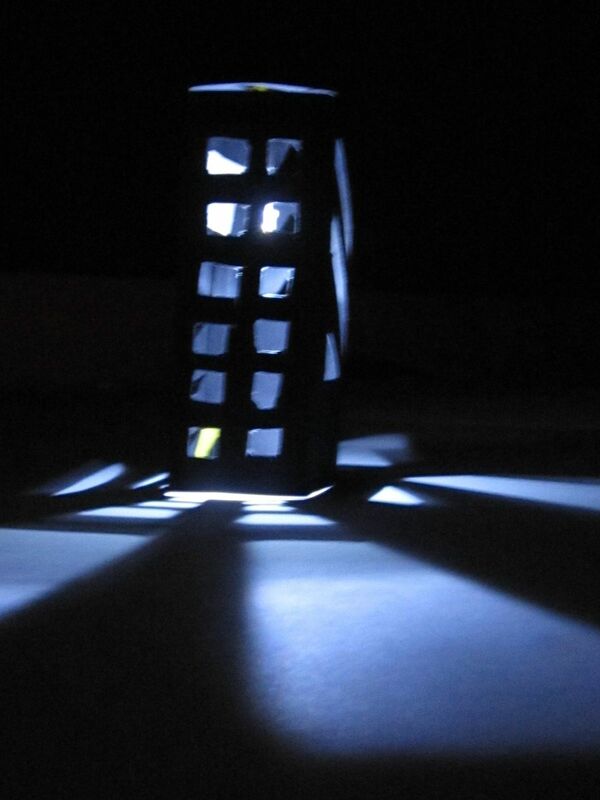 We aim to produce together an animation/choreography in miniature scale!!! 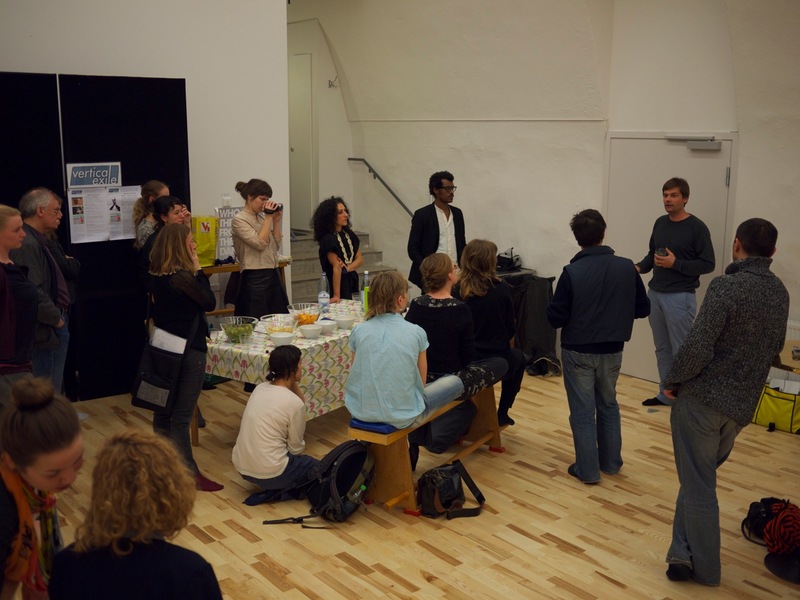 An open workshop for all citizens, architects, city planners, artists, etc, to build a 3D model of an imaginary wish world, using cardboard boxes, photography, filming, moving, etc. At Dansens Hus small stage. 5 workshops & 1 Task on photography. 27. February, 20. March, 7 & 21 April, 10 & 26 May, kl. 19.00 & kl. 18-20, at Fittja Ungdomsgård. How do you take a good picture and how do you communicate through photos? Ylva Henrikson and Botkyrka Ungdomsråd invites youths with a camera on their mobile or a digital camera to participate in this event. Task: Take 1 photo every day during one month, the theme is something you like or something you would like to change. Take the images when you are moving from one place to the other within the area where you live. The project will end with a digital exhibition build together, a flip book/slideshow, that will be shown on internet and some photos will be part of an exhibition in Botkyrka and Stockholm. 23er of March at Moderna Dansteatern. kl. 16.00 to 19.00. Yes, a good attendance by artists & funds, diverse and inspiring projects in different fields. 16th of March kl. 13-14.30 and the 20th of March kl. 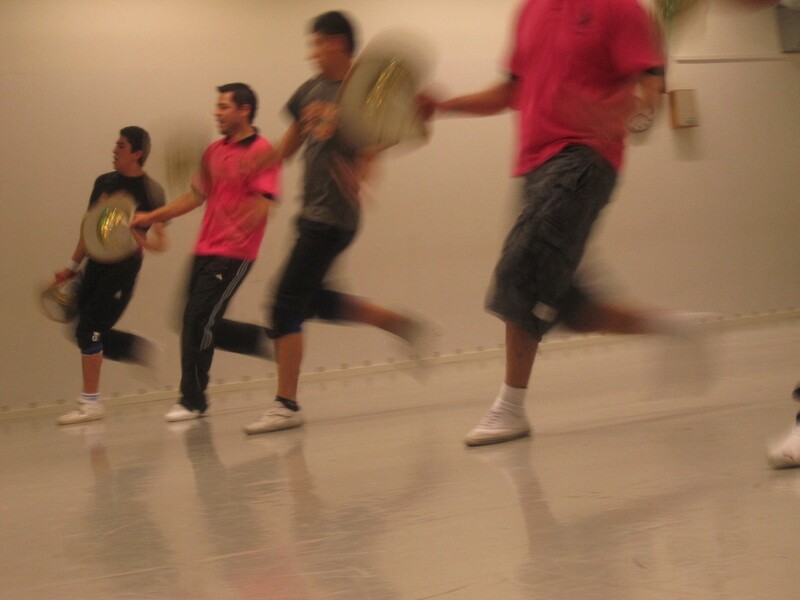 13-14 at Moderna Dansteatern with dancers from Botkyrka and Stockholm. 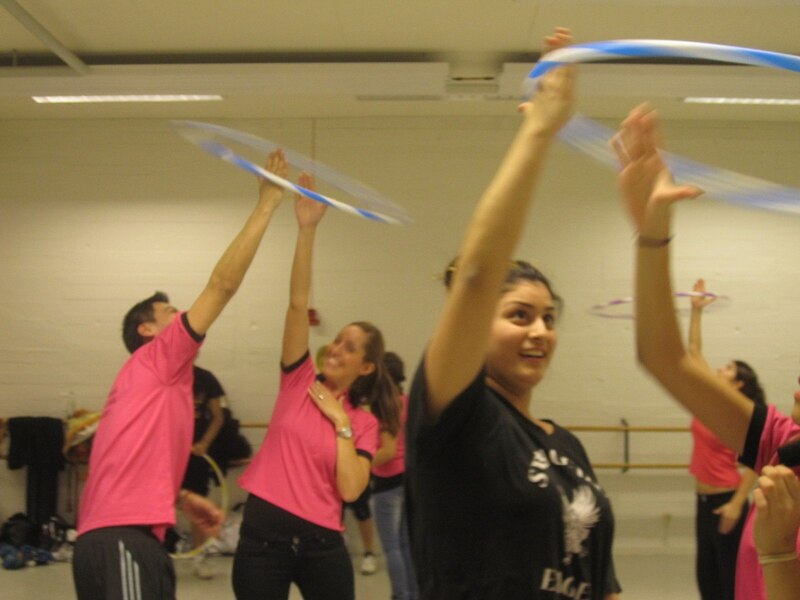 During April: spontaneous Hula Hoops in Alby Centrum and close classes for youth in Tulligen school. 6 artists joined betwen March & May with their own artistic proposals within the conceptual frame we proposed: a work created in a public or semi-public space, in the suburb of Botkyrka: Alby, Fittja, Tumba & Tulligen. A residency between minimum 1 to more days. Participants: Kajsa Sandström, Arena Baubo, Nadja Pärssinen & Paivi, Nils , Åsa Åström & Håkan Huszkowsk & Jessyka Watson. 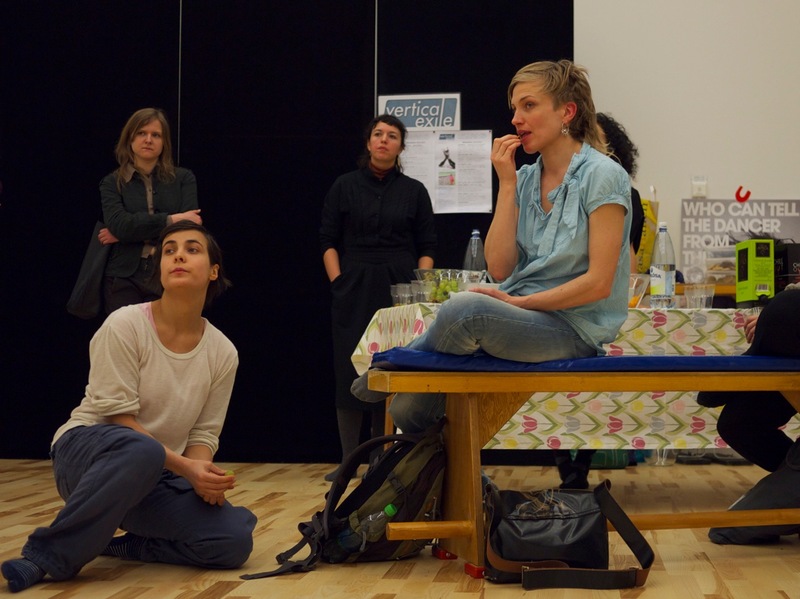 Kajsa’s Super Residency did her workshops for kids of 5 years old the 7 & 8 of April. Performance is 28th April kl. 10 in Tumba Scenen. Nadja & Paivi did their 2 weeks dancing in Alby Library. 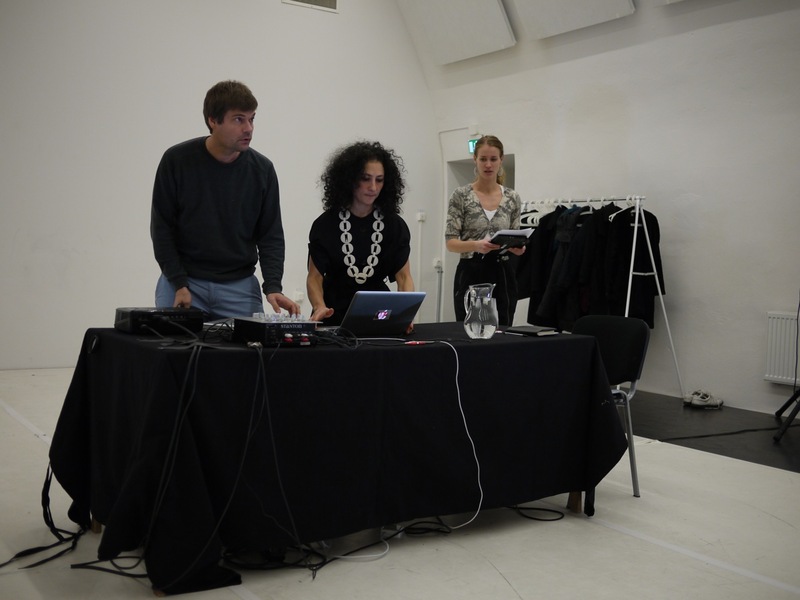 Lena & Majula the last week of April recording sounds of Botkyrka, interviewing people and improvising a dance. Nils Personne & Johan E Andersson Intryck,uttryck,avtryck 28/5, kl 18, in Tumba Centrum. Music made from scrap metal instruments, dance & environment! We have received information that a wall will be raised through Botkyrka. Work will start 1st of April. The secret plans have been reviled by a former employee at Wall Security – Sweden, and we believe that this should be treated as a serious warning. 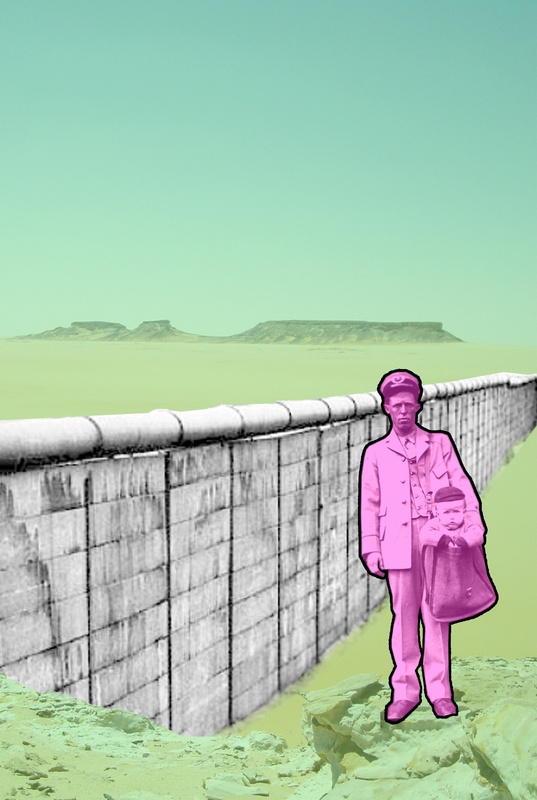 The building of the wall will be defended with promises about increased security, but the real reason is to strengthen the control over the community and to divide people from each other. The question is: Security for who? An amazing exchange during this week. Thank you all. Interact with Botkyrka and Stockcholm Maps. 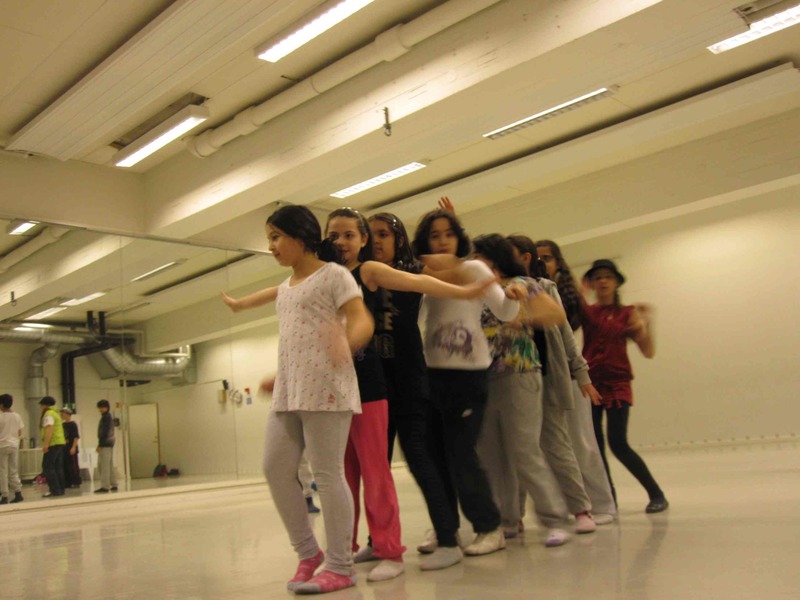 A playful exhibition, Try your Triangle!, watch videos on “Vertical Exile – West Bank & Copenhagen” projects and pictures accumulation of the “Vertical Exile - Stockholm/Botkyrka” project. Started in Tullinge Library and every 3 weeks it will travel to other libraries and ‘Medborgakontor’ in Botkyrka. 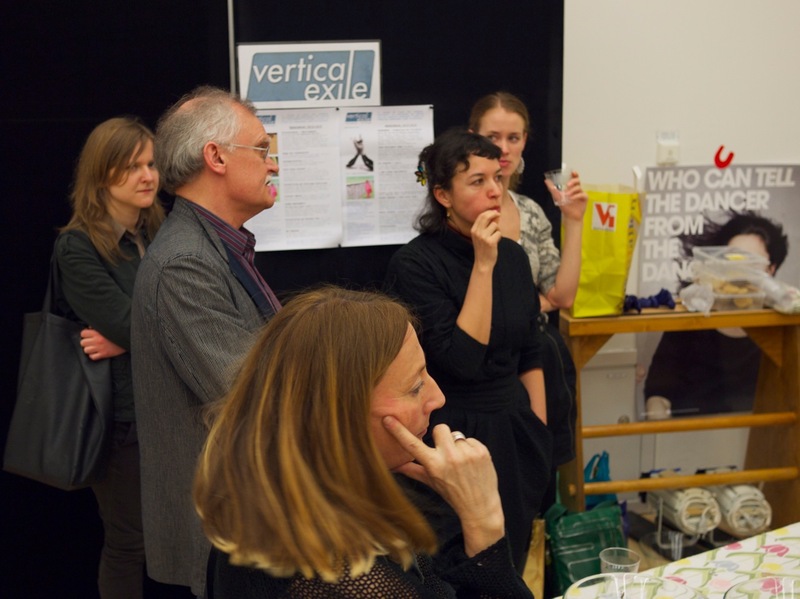 Vertical Exile is an artistic platform where citizens, local artists and architects meet to share and exchange creative knowledge and define collective ideas in relation to the urban space. 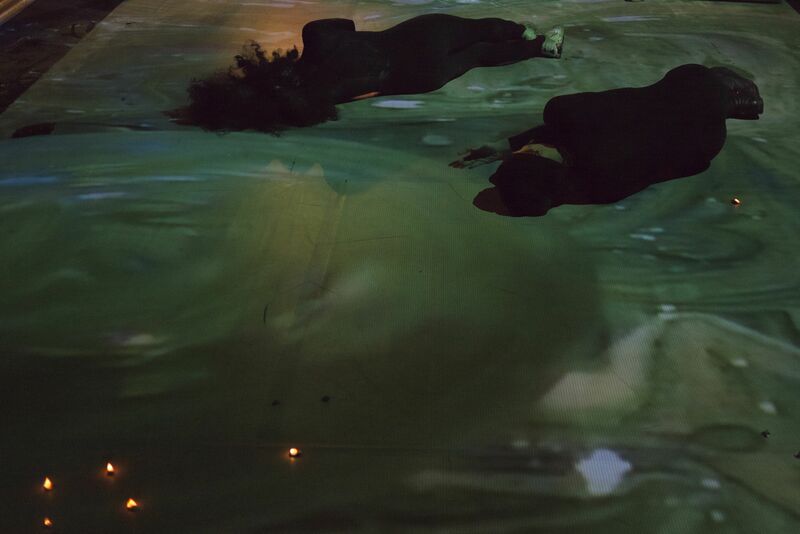 The project uses different aspects of the map as a platform for a process that deals with transformation of movements; from the field of dance to the social movements between people, experiences and ideas.